If you are looking for a way to increase the value of your home, enhancing your exterior lighting design is a great place to start! Exterior lighting will simultaneously enhance the curb appeal of your villa while adding value to your home. 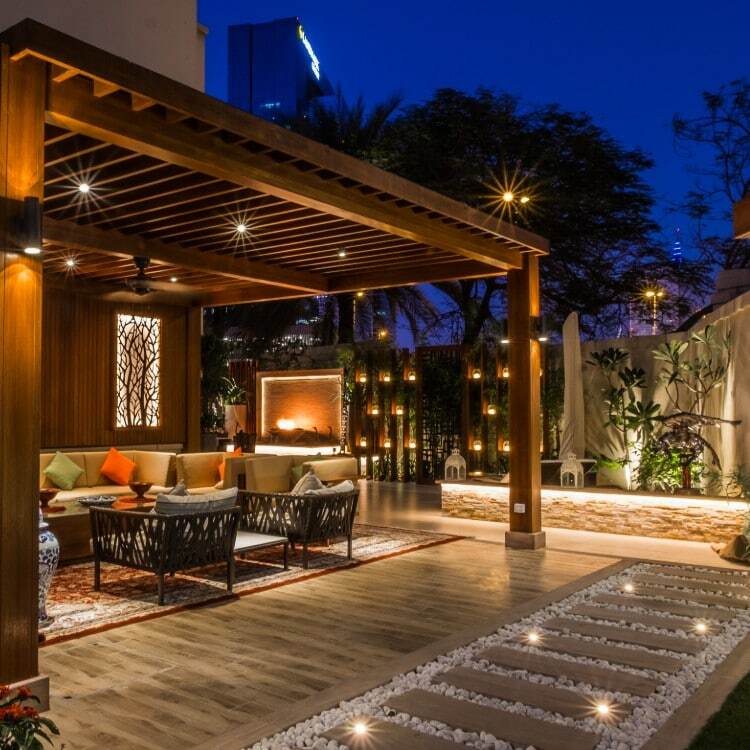 A well thought exterior lighting design will highlight the structural features of your home, to include pathways, water features, fire pits, herb garden, and more. 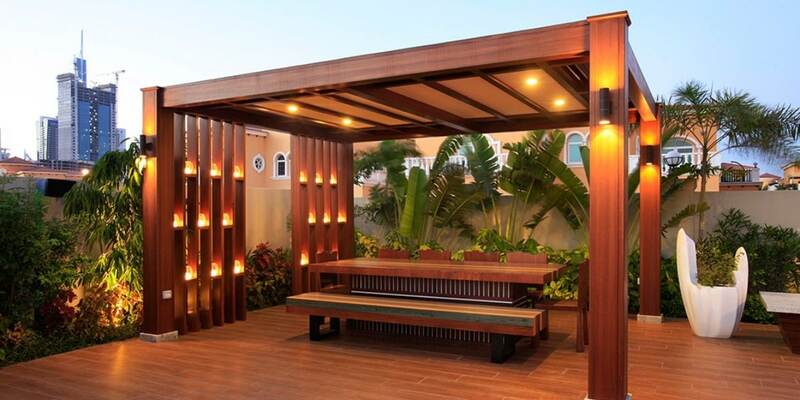 Additionally, exterior lighting will help you define your exterior spaces, to include dining and seating areas. Completed during the preliminary design stages, you only have one chance to set the wiring. All of your wiring should be placed underground from the start of your project. Underground wiring helps to preserve the natural beauty of your landscape design. Additionally, underground wiring will not be damaged by weather, wind, or other natural elements. Together with your design team, you will determine the number of lights and number of circuits, as well as the load and placement of switches and automation. 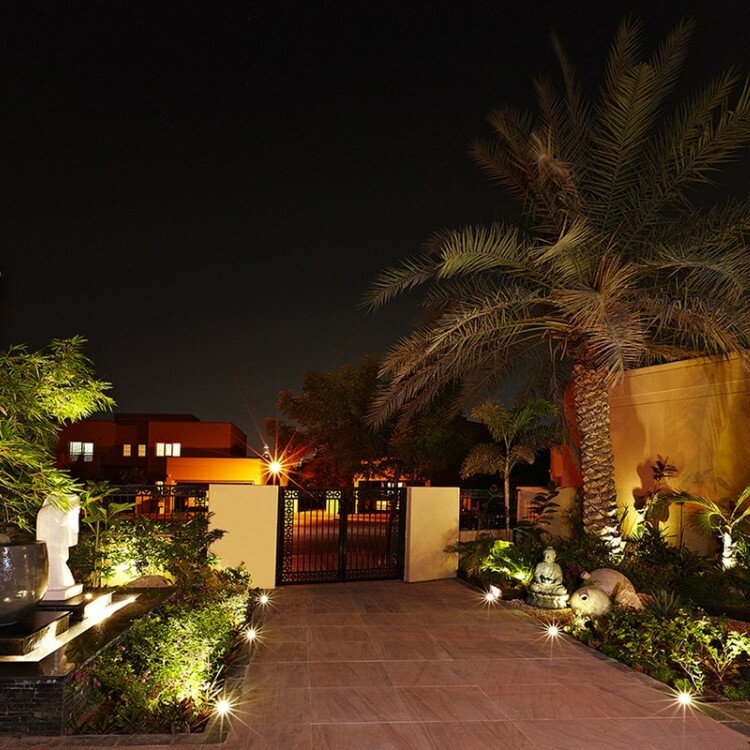 Correct planning of your exterior lighting will allow you and future owners to use your garden after the sun goes down. Most view at night is your own internal view as lakes and golf courses facing villas do not see them at all at night as they are not lit. 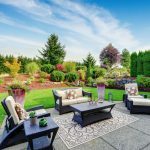 You’ve gone to great lengths to increase the value of your home with an extraordinary landscape design. However, your outdoor space is useless without proper lighting. Exterior lighting design will allow you and future owners to enjoy your backyard long after the sunsets. 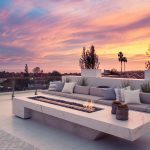 Be sure to add light to highlight your landscape features, such as seating areas, bar and barbeque areas, and dining areas to enjoy these spaces under the stars. Use focus lights on water features and other garden features. 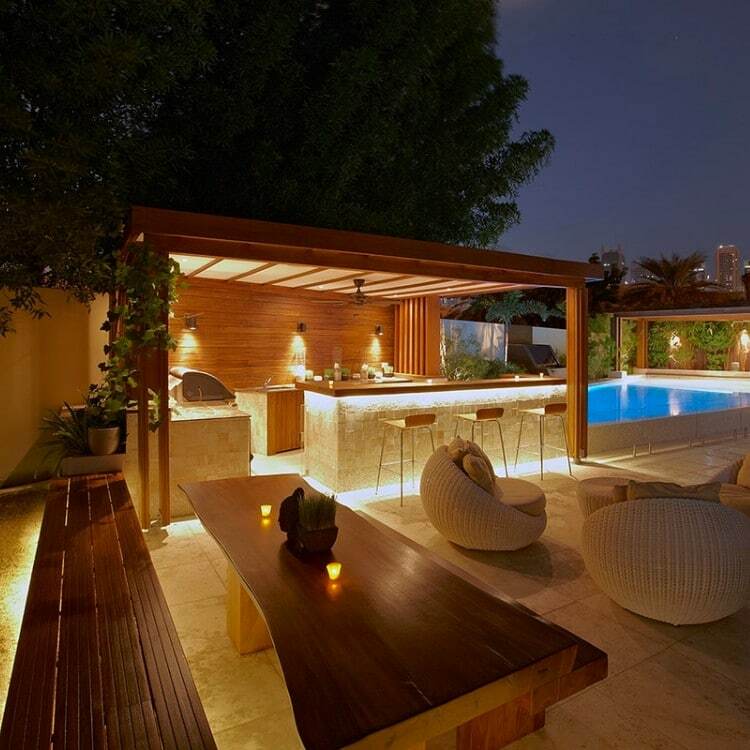 Lighting design can be used to turn your backyard into your personal resort. It can make your home look very glamorous, highlighting the architectural accents of your villa. Additionally, proper landscape lighting can enhance smaller gardens. Many people purchase properties for their stunning views. While you can use lighting to highlight your natural view, you can also create a view with exterior lighting! 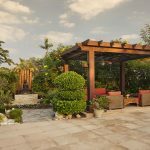 Using the proper lighting, homeowners can highlight their gazebos, pergolas, water features, sculptures, outdoor dining areas and much more. Feature trees like olive or palm trees are highlighted too. 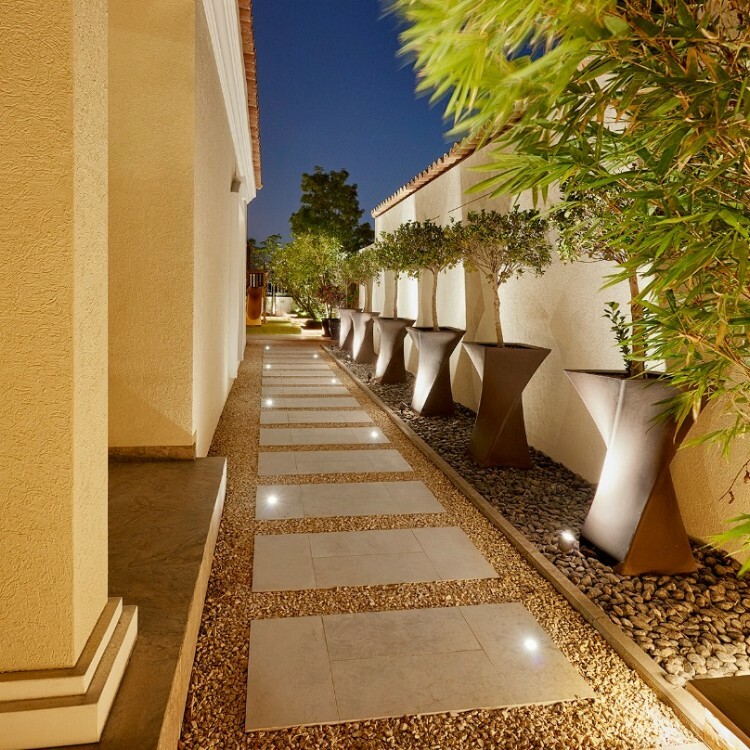 Additionally, you can use exterior lighting to create a mood and ambiance, while including functional lighting for paths and security. Custom, energy-efficient, sustainable landscape lighting is an instant way to increase the value of your home. 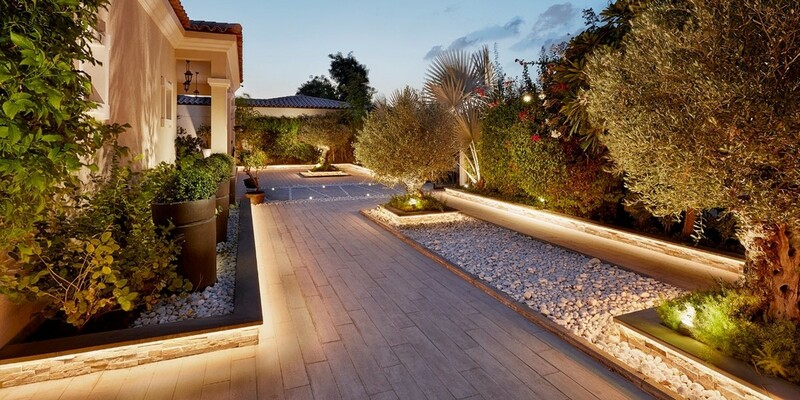 The latest advances in lighting technology and design allow all wiring to be placed underground, which significantly increases the aesthetics of your landscape design. Additionally, LED lighting options use less power, which equates to instant savings on your energy bill. 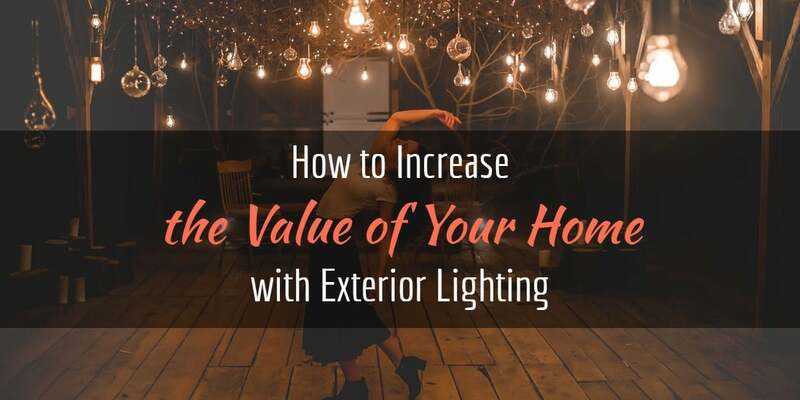 You can also increase the value of your home with automatic exterior lighting. With smart lighting systems, the timers or controllers use technology to automatically control your lighting. Your backyard will be illuminated based on your needs. At Milestone, our team of designers will work with you to create your space home while increasing the value of your home. We take great pride in turning your visions into a reality to enjoy for years to come. Contact a member of our team to schedule your free design consultation. Need a little inspiration? We’d love for you to stop by our show villa. Either way, we look forward to working with you.